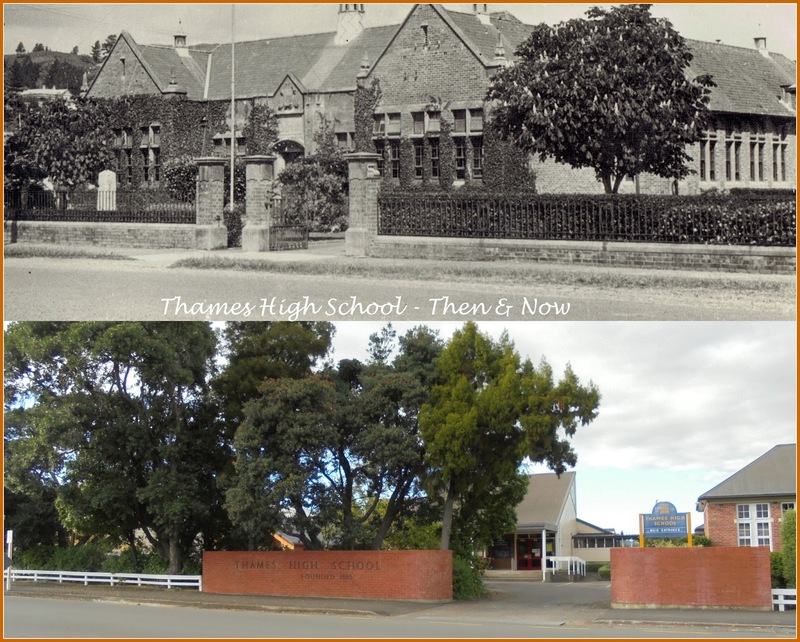 Thames High School Then & Now. The age of the old photo is not known, given the growth of 'Ivy' on the building it could be into the 1930s-40s. I would need to hunt out and compare some old Haurakian's to estimate more definitely. Thames went through a period where it valued the grand fence...I wish that time would return. Trees now dominate, rightly or wrongly. 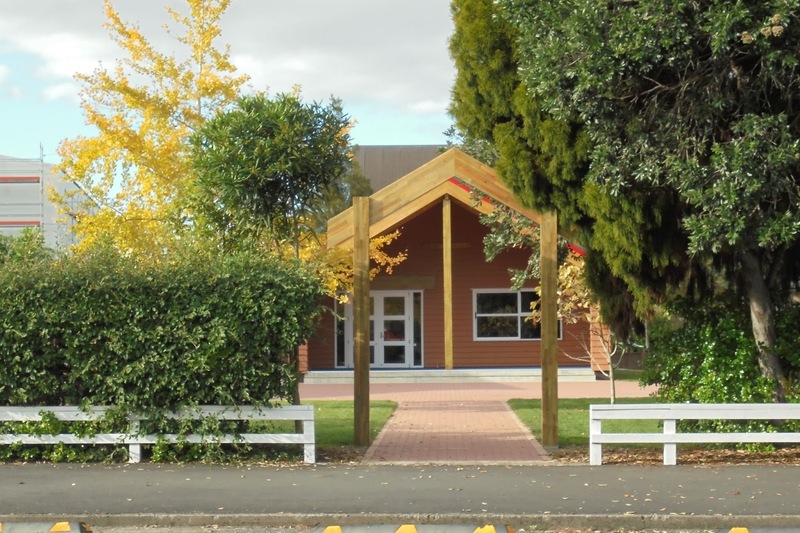 There is a new entrance off Sealey Street, and that leads to the Thames High School Wharenui house.